Since 2000 EUBIA, the European Biomass Industry Association, gives its annual prize to the European company which demonstrated an high effort in supporting biomass development at commercial and industrial level. NOVAMONT wins the EUBIA Award 2016 “for its contribution to sustainable development of green chemistry in the industry." 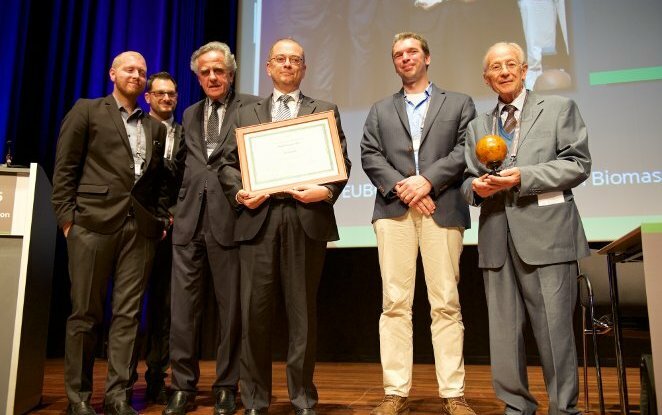 The Award Ceremony was held on 6th June in Amsterdam during the European Biomass Conference & Exhibition. The conference gathers the global Biomass community to present and discuss the latest developments and innovations. EUBIA is a non profit association that support the European biomass industries at all levels, and fostering international co-operation within the sector.